The EPP-ED Group and the Fidesz – Hungarian Civic Union have closely cooperated during the past couple of years. 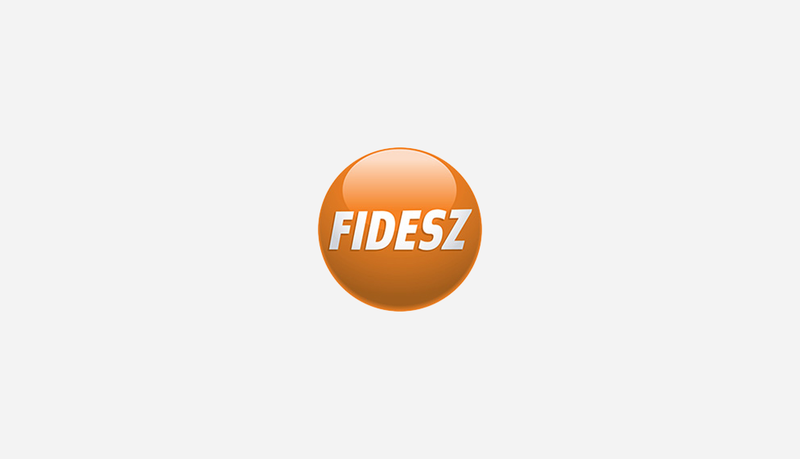 The Group is proud of its twelve Members from Fidesz who do an excellent work as members of the largest political group in the European Parliament. Fidesz, on its part, is privileged to have the chance to contribute to the development and implementation of policies of the EPP-ED Group. The President of FIDESZ – Hungarian Civic Union and the Chairman of the European People’s Party – European Democrats Group in the European Parliament (hereinafter, “the parties”) take this opportunity to mention and welcome some good examples of the close cooperation between them: the participation in the Fidesz Congress in May 2007 of Joseph Daul, Chairman of the EPP-ED Group, the support that the Presidency of Fidesz expresses towards Nicolas Sarkozy, the UMP candidate for the French presidential election, the support and importance both parties attach to the creation of a public monument in Brussels dedicated to the 1956 Hungarian Revolution. The parties reiterate the basic principles on which the European construction has been built. These principles – democracy, the rule of law, the respect of civil liberties and the protection of minorities, free market economy, solidarity – have served as the cornerstone of a new Europe, and they remain as valid as ever 50 years after the signature of the Treaty of Rome. The parties acknowledge the enormous responsibility that they have, as political leaders of the centre right in the European Parliament and in Hungary, respectively, to contribute positively to the strengthening and further development of the European Union. The problems and difficulties that the European Union faces today are a challenge and this challenge creates an opportunity that responsible politicians and political parties must aspire to answer. The parties agree that Europe needs courageous and imaginative political leadership in order to answer to the need of its citizens. It needs to be responsive to global challenges like climate change and the need to protect the environment. It must equally put ambitious goals in the focus of its economic policy, like working to further reduce unemployment and achieve full employment. – The uncompromising respect of human rights and civil liberties must be ensured in and outside of the European Union. There is no room for double standards about this issue. The European Union must be uncompromising and consistent in rejecting any violation of civil liberties. – Europe needs to become stronger and in order to do so it must speak with one voice on key, strategic issues. Energy policy is such a strategic issue. Concentrated efforts must be made towards reaching agreement on a common European energy policy. Member States of the Union must show solidarity towards one another and towards achieving this goal. – Europe needs to introduce a common immigration policy. It is imperative to develop a joint approach in this essential policy area of the Union. As the internal state borders gradually become less and less of a limitation of intra-European movement of persons, the EU must show its maturity by developing a common policy on admitting immigrants. – The Common Agricultural Policy (CAP) must be reformed in order that it brings about a predictable and long-term solution to the funding support of this key sector. The reform will have to take into consideration various aspects and proportions of the EU budget, however, it must also acknowledge the role agriculture and rural lifestyle play in the cohesion of European societies. CAP reform cannot hurt farmers and agricultural producers. It must rather bring about a political solution that benefits the whole of Europe. – The Cohesions fund of the EU is one of its most important means towards the strengthening of European solidarity and increasing the well-being of its citizens. It is also an essential way in which Europeans, on a daily basis, experience the added value of membership in the Union. Therefore, it is of the utmost importance that elected regional officials should always be fully and transparently involved in the local decision making about the best use of European cohesion funds. – Europe has one, common history, and following its almost complete political reunification in 2004 and 2007, it must now make efforts to reunify its soul as well. Europeans who lived their lives under profoundly different circumstances – in democracies in the West and the North, and under dictatorships in parts of the South and the East – must come to terms with the fact that their different historical experiences form part of the same, common European history. Dictatorships of all political persuasion, right wing or left wing as they may be, must unequivocally be rejected by democrats. The parties firmly reject apologetic approaches towards either of the two: the European Union must reject communist ideology just as it rejects the Fascist – Nazi ideology. The parties pledge to continue their cooperation for the good of Europe and its citizens.